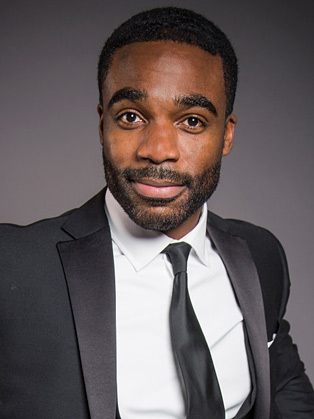 Ore Obuda is a British news presenter and winner of Strictly Come Dancing 2016. Ore Oduba is a British television news and sports presenter, currently working for BBC Sport. He is best known for presenting the BBC children's news programme Newsround from 2008 until 2014. A truly exciting young broadcaster, experienced live host and accomplished sports anchor, Ore has established himself as one of TV's hottest talents. Whether he's presenting live from National Lottery HQ or the BBC Breakfast sofa, Ore's charm and energy onscreen has seen him emerge as an audience favourite. Kicking off 2016 in style, Ore welcomed in the New Year to 13 million people on BBC1, presenting Bryan Adams Rocks Big Ben Live. And, from the banks of Westminster to the beaches of Rio de Janeiro, the year is set to reach even greater heights with Ore heading to Brazil as one of the faces of the 2016 Olympic Games. With countless hours of live broadcasting under his belt, Ore's authority and reliability has seen him front some of the biggest national and sporting events; from the Queen's 90th birthday celebrations on Commonwealth Day to EastEnders: Backstage Live, the London Marathon to London 2012. Ore was amongst a stellar lineup for Sport Relief 2016, combining his experience in live, sport and entertainment to present Clash of the Titans from London's Olympic Park. In the same campaign, he set sail on the BT Hell on High Seas challenge with five other celebrities, helping raise over £1 million for the charity. Further demonstrating his versatility, Ore was announced as the first presenter of long-running investigative documentary Claimed and Shamed on BBC1. He continues his work from the Royal Opera House, presenting some of the finest ballet productions live to cinema screens worldwide alongside Strictly's Darcey Bussell. A recognisable voice on BBC Radio 5 Live, Ore can often be heard deputising on Afternoon Edition and the Friday Sports Panel. He's also a familiar face on The One Show, having stood in for Matt Baker to present from the famous green sofa with Alex Jones. Like many of the UK's leading broadcasters, Ore learnt his trade on Children’s television, becoming the youngest ever anchor of Newsround and Sportsround. A CBBC fan-favourite for a memorable five and a half years, Ore was the original presenter of Match of the Day spin-off, MOTD Kickabout. In 2016 Obuda participated in the fourteenth series of Strictly Come Dancing, and in the final he scored the maximum 40 points and were announced as the winners.